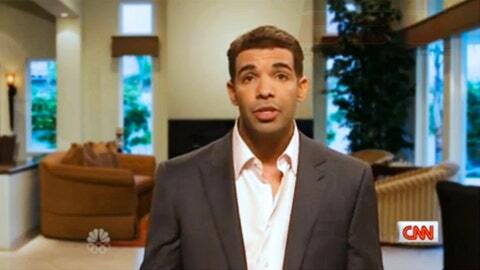 Rapper Drake — formerly known by his real name, Aubrey Graham — had a decent acting career growing up. His claim to fame in the acting world was playing a character on the Canadian teen drama Degrassi, and the rapper recently got a chance to dust off his acting shoes and didn’t miss a beat. Drake pulled double duty as host and musical guest on Saturday night’s episode of "Saturday Night Live," and one of his best performances of the night came during the show’s cold open when he portrayed embattled Yankees third baseman Alex Rodriguez. The segment featured Drake as Rodriguez appearing on Piers Morgan Tonight, answering questions about his suspension from Major League Baseball. Drake-as-A-Rod vehemently denies knowingly using performance-enhancing drugs, and goes on to detail how he plans on suing anyone and everyone involved with the situation — including the steroids, for being inside his body. It’s not all comedic gold, but it’ll at least elicit a chuckle or two. Check it out in the video below, with a hat tip to Deadspin.